Sorry, I couldn't resist the cliche title. If you haven't heard of the band, Flock Of Seagulls, the cliche made no sense to you. 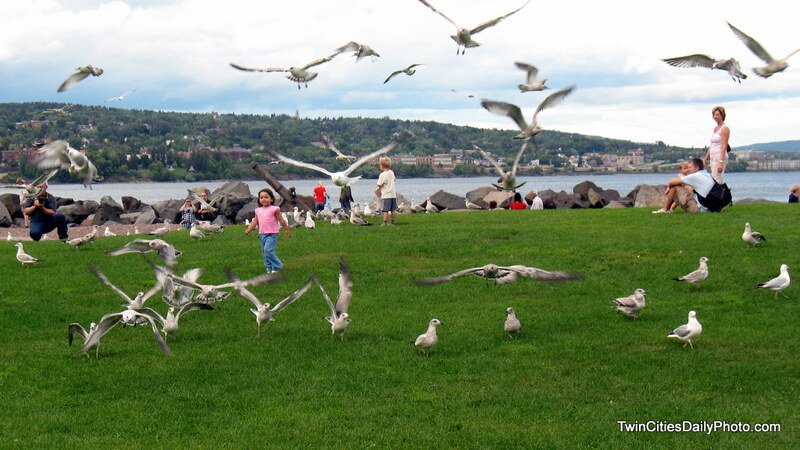 This outstanding action shot was taken in Duluth with Lake Superior in the background. The seagulls coming right at the camera in a frightening way. Almost like a scene from a Hollywood horror film. I cannot take credit for this capture, this contribution belongs to swc. Well done!